Taking my experience working with professional athletes for over 12 years to each and every one of my patients. Sports Medicine is finding a balance between safety and performance. From weekend warriors to scholarship athletes, getting patients back to what they enjoy quickly and safely is our goal. Excellent. Dr. Neault is always very pleasant and easy to talk to. His staff is outstanding. I like seeing Dr Neault for the knee problem I have. we don't talk surgery. I am not very interested in having surgery unless it is really necessary. so far the cortisone shots seem to work. Dr Neault is thorough and very explanatory with patients, in my experience. explained my arthritis in great toe, reviewed options of possible tx or just deal with until worsens' and even potential surgery in distant future if problem progresses to require such for improved mobility. due to type of activity I do, Dr Neault offered option of a cortisone injection to see if that would alleviate my pain in the great toe region, I accepted and I am happy to say my pain has been eliminated and I can run again without pain in great toe hampering my activity! I am very happy with care received from Dr Neault and would recommend him strongly to family/friends. the doctor explained quite a bit about the injury helped me understand the situation. Dr Neault is amazing. Have recommended him to many of friends that needed surgery. Truly shows concern and compassion towards his patients. Dr Neault was thorough, friendly, compassionate, on time, and extremely competant! I had seen this provider in 2012 and was very happy with my results and care, so that is why I came back for my resent visit. Dr Neault is a great doctor and I rely on him to help with orthopedic issues. All visits are quick yet thorough. Dr. Neault is an excellent doctor. excellent bedside manner. clear and concise information. compassionate. Dr. Neault always enters the examination room with a greeting, and shakes hands, and makes eye contact, making me feel welcome, and comfortable. Dr. Neault took excellent care of me during my recent shoulder injury. This has been a long process (since 5/18) involving PT, surgery and more PT. I was recently discharged from his care as I have had an excellent recovery. He is simply the best. Excellent experience from office visits to surgery and aftercare. 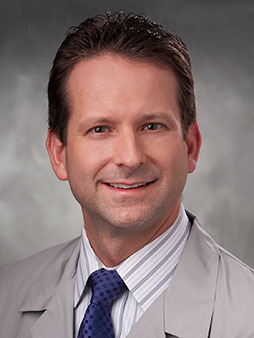 Knowledgable and experienced orthopedic surgeon who is takes his time and has great bedside manner. MD and PA took their time with me and helped me understand my questions and concerns. Such wonderful staff all around. Upon exam, Dr. Neault seemed to know what the problem was. He was very thorough in his exam, and I respect his opinion. Excellent Orthopaedic surgeon.Great personality and top notch person. I trust Dr Neault for my orthopedic needs. I have been going to his practice for many years. I always recommend Dr Neault to friends that are in need of an orthopedic Dr.
Dr Mark was excellent as usual. Dr Neault is the best,he always listens,provides options when appropriate and is compassionate.He is the consumate physician. the office is run like a well oiled machine. front desk associates worked very well together answering a non stop ringing phone and endless scheduling. dr.n was excellent kind and caring, he took his time to explain my diagnosis and testing. X the pa very compassionate thorough and ensured order and excellent timely thru put of the office patients. the X-ray techs were also very kind. overall excellent on every level. I am on an HMO program and THIS PROVIDER'S CLERKS were not helpful in securing a required referral for an MRI scan as was expected from THIS PROVIDER'S CLERKS! Dr. Neault was truly professional in describing my illness and was thorough with his exam. Dr. Neault is VERY smart & conservative approach - Suggested PT & anti inflam. - saw me within one day of PT reporting further issues. Dr. Mark Neault is very professional kind and caring Surgeon. His office and staff also excellent kind and very up beat. I like Dr Neault a lot. I believe he is truly concerned aboutique my health. he is not my pcp. Keep doing what you are doing. Very happy with the visit. Went in for a pain in my right shoulder to Rotator cuff. Great experience with the doctor he explained the steps I would have limits so that my arm when it continue hurting medication came out really well I feel 10 times better than when I went in I definitely recommend this place for any joint injuries one of the best doctors I've met so far. Dr. Nauelt is a kind, thorough and excellent surgeon. He explains things well. He connected with me almost immediately. I am very fortunate to have him as my orthopedic surgeon. Dr. Neault is always prompt and attentive. He listens when you ask questions or talk about what is going on with your case. He is quick without making you feel rushed. I was referred to this doctor by my primary care physician. This doctor was not quite as nice to me as I would have liked. He stated two ways to handle my problem, which were medication or surgery. He seemed somewhat "flip" with me and did not really want to talk with me at any length. Dr. Neault was fabulous. He gave me hope and I haven't been this excited in years. His staff couldn't be nicer. Overall it was probably the best healthcare experience of my life. outstanding staff and doctor. very thorough and informative. excellent level of care. Surgery in my future - SOON - Good confidence in Dr. Neault, surgery doesn't have me concerned at all. This doctor is a first class gentleman with manners and is very knowledgeable in his profession. He is an asset to your team and you are fortunate to have him. He treated me with courtesy and respect. It was my first time meeting Dr. Neault as I was referred to him by my previous Dr. who has retired. He and his staff were wonderful. Provider was very respectful and nice. My only concern: I had three problems to see him about -> 2 knees and 1 shoulder. When I called to make appt, receptionist said I had to pick "two things". In other words, doctor would not address all three issues in one appt!! I would have to make another appt. for the third issue. Dr. Neault is very professional, extremely knowledgeable in his field has a wonderful personality & bedside manner. He did my husband's knee surgery (patella tendon) and he extremely satisfied. My experience has always been excellent with this provider. Best care anywhere....even before the Advocate group! 10 years after my surgery I came back for an opinion and felt family. Kudos! Excellent physician. Top notch! The best. He is very thorough and ensures I understand the diagnosis and next steps. He makes you feel like you are family. Too much reliance on nurse practitioner, not enough time w/MD. MD seems laid back and not very interested in providing good medical care. Switched to IBJI. Everything went smoothly.dr. Neault is very knowledgeable and very pleasant. Dr. Neault, the PA & staff do a great job. In the past I've been a patient at IBJI and did not like it at all. IBJI feels like an assembly line, very impersonal. Dr. Neault and his staff provide a caring, relaxed atmosphere. My husband had hip replacement surgery with Dr. M (can't remember) and was also pleased with his care. Would definitely recommend this practice to others. Dr. Neault and his office staff are awesome. They are the greatest. Dr. Neault is one of the most caring physicians of Advocate. His knowledge and skill are beyond great! He listens and honors my opinion and thoughts. He is punctual, so I can really count on getting in and out in a timely way - He is always one step ahead on my care, I feel very well taken care of. Dr. Neault and his APN are the best. Their team work provides me with optimal care in a caring and friendly environment. he was helpful and careful of everything I was saying. excellent outstanding and professional care! my visits are always met with short wait times , and as always solid medical advice . Dr Neault is an outstanding orthopedic surgeon. Throughout the past 10 years that I have been his patient, he has been extremely helpful and always very gracious. He has always been available for consultations and advice even during the non-office hours. My wife and I are very grateful. Always on time 1or 2 min wait times. Dr. Neault has done several procedures on me. He is a kind caring and excellent surgeon. I came to see Dr. Neault for a second opinion on knee surgery/procedure. He took the time to explain the pros and cons more than my usual orthopaedic dr. I will definitely schedule my procedure with Dr. Neault. He treated me with respect and answered all my questions. Very pleasant dr. Easy to talk to. Dr. Neault was the best. No more words to explain his fantastic work. Provider and his assistant X were very professional, friendly and easy to talk to and explain my medical concern. Great experience! He is a VERY good doctor. The doctor saw me in a timely manner and listened to my concerns. He was thorough and concise as well as friendly and kind. Not always the case with orthopedic doctors. I came to see this Doctor for ongoing acute elbow pain, I was able to get in quickly and I felt he was very thorough. It was my first visit to this provider and I will definitely see him again if needed. my experience was very good. I was comfortable with the doctor and will definitely go back if need be. Dr. Neault was incredible with the care, plan and surgery. I have recommended him to numerous colleagues and friends and have heard the same feedback. Dr Neault and his staff were very knowledgeable and efficient. dr. Naught has always taken good care me before ADVOCATE was involved he is a great doctor. I've seen many doctors recently he was the most interested, straightforward, and followed through on what he said he would do. As a bonus, he was simply nice. I would without a doubt refer or see him if I need to surgically fix my shoulder. Dr. Mark Neault and his staff are very professional, and though. All options were explained to my wife and I. My recovery is going much better than explained. Very happy with all the results. Sorry I waited so long in making the decision to going forward with my shoulder replacement. The Dr did not listen to my needs, I am in pain and when recommending PT, he said," you can go upstairs, your insurance bcbsil hmo doesn't give you much of a choice" I asked for a cortisone shot, he denied me treatment and then I said how about prednisone which he prescribed at my suggestion. I think he has a know it all arrogant attitude and is a crappy dr. I will go elsewhere. The therapy upstairs, (advocate) made my condition worse, so I went back today asking the nurse for some relief, once again denied. I have been seeing Dr. Neault for years - and regularly recommend him to friends. Will continue to see him for my ortho care. Dr. Neault has NEVER greeted me in a positive manner. He walks in complaining that I have returned with pain. Upon leaving the exam room he said "I get tired of hearing people complain", isn't that the job of a diagnostician? to LISTEN & diagnose? He's in the wrong field. I visited Dr. Neault as a follow up to an injury. He was excellent, as was his physician's assistant. No one discussed releasing personal information, that is already on file with Advocate. I had just been to Immediate Care a few days prior and signed forms. I may have signed something at Dr. Neault's office too, but it wasn't discussed. I don't think that is a concern of mine, but I answered no to those questions. The staff was all very courteous. health eNews with Mark A Neault, M.D.